Zach Norvell scored 13 consecutive points for the Gonzaga Bulldogs and launched them toward a 92-62 win over San Francisco on Thursday night. Norvell’s streak seemed to ignite the Zags, who outscored San Francisco 49-32 in the second half to post their 13th consecutive victory. Brandon Clarke had 20 points, 16 rebounds and five blocks for Gonzaga (22-2, 9-0). Click here for the full story. 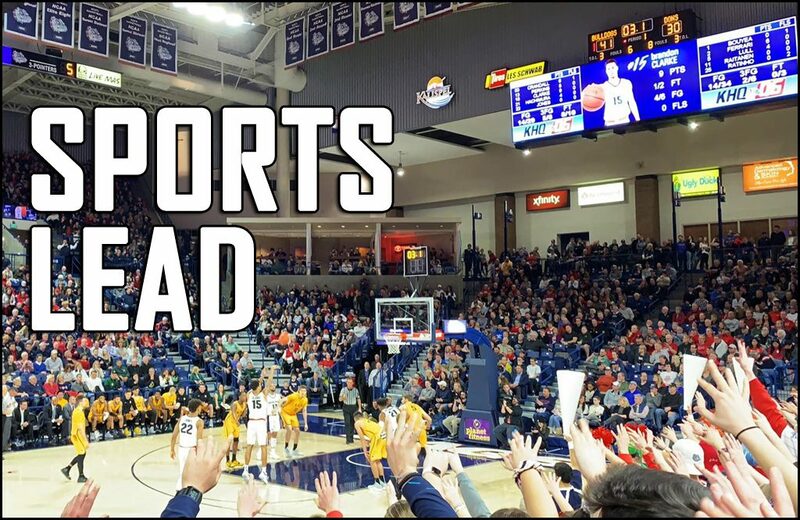 The Bobcats downed EWU 74-66 in Big Sky men’s basketball play on Thursday night, using a 10-2 run to push past the Eagles in the final two minutes. The Eagles had the 66-64 lead with 2:35 to play then turned the ball over three times and missed three shots. Click here for the full story. Behind 34 points by Robert Franks Jr., the WSU Cougars downed Arizona State 91-70 in Pac-12 place on Thursday night. It was just the second conference win for the Cougs, who snapped a five-game losing streak. Arizona State had won four of five going into the game. Click here for the full story. Due to the large winter storm sweeping over the Northwest over the weekend, the Washington Interscholastic Activities Association has announced they’re canceling regional wrestling tournaments across the entire state. The reason is because of heavy snow on both the western and central part of Washington. Driving conditions will be hazardous and no way to reschedule regional tournaments in order for everyone to get a fair amount of rest before wrestling again. Click here for the full story.